Cut ten geometric shapes at once with one cutter. The patterns are nested perfectly to cut with no waste. In a hurry? 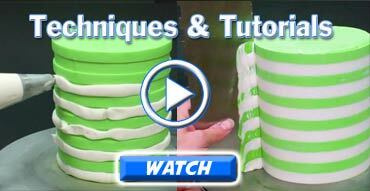 Use these bad-boys to imprint the side of a fondant or buttercream cake for a clean, modern textured tier. Set of 3 cutters/imprinters in three sizes.